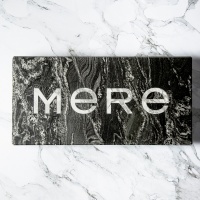 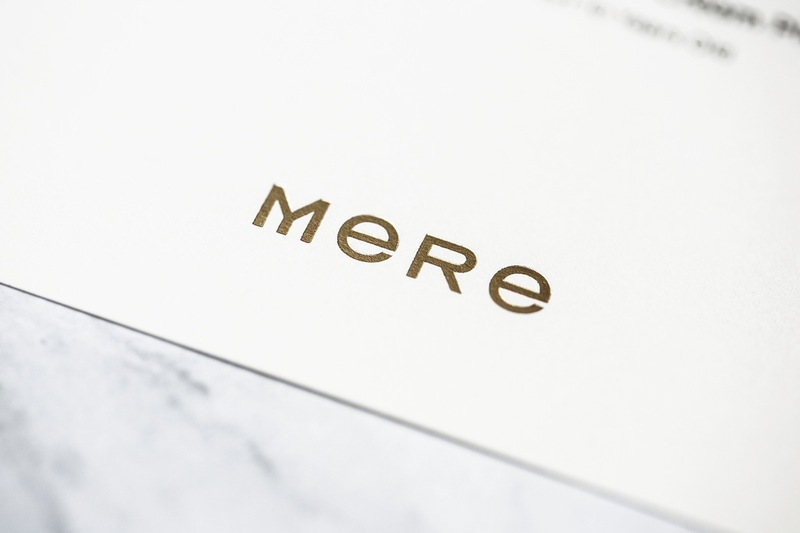 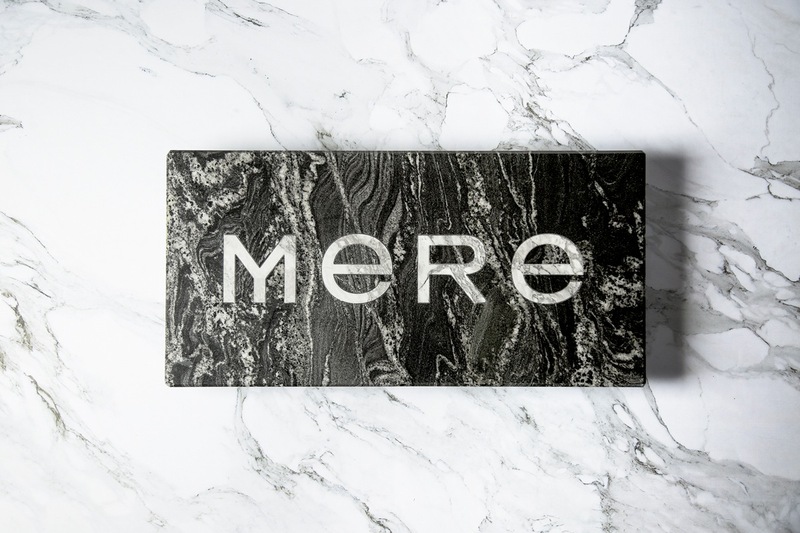 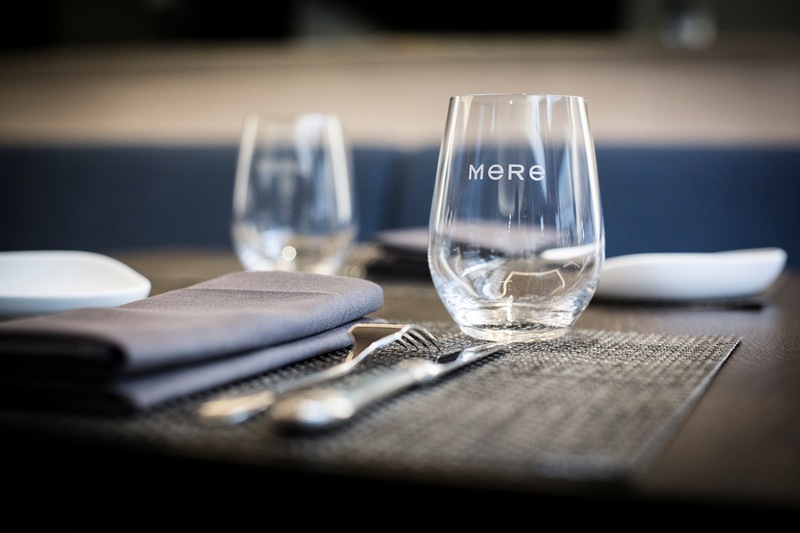 Bibliothèque has designed the identity and communications material for Mere, the new London restaurant from Monica and David Galetti. 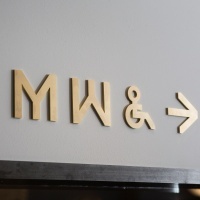 The name and logo of the restaurant link directly to Monica and her family: the establishment is named after her mother Mere (pronounced ‘Mary in Samoan’), while also the French for ‘mother’. 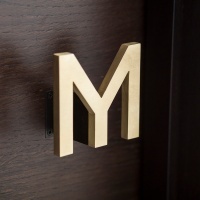 The ‘M’ logotype is apparently inspired by part of a Samoan tattoo as worn by the chef. 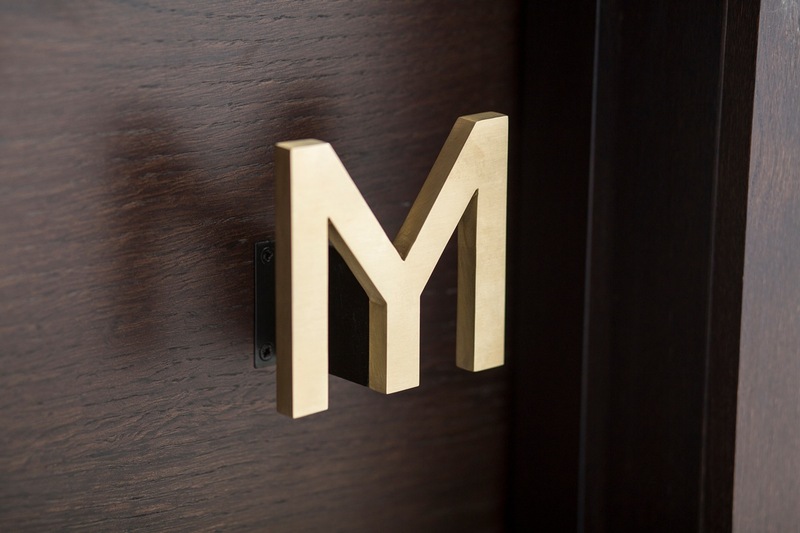 The identity uses a bespoke cut of the typeface Ratio by Clement Rouzaud. 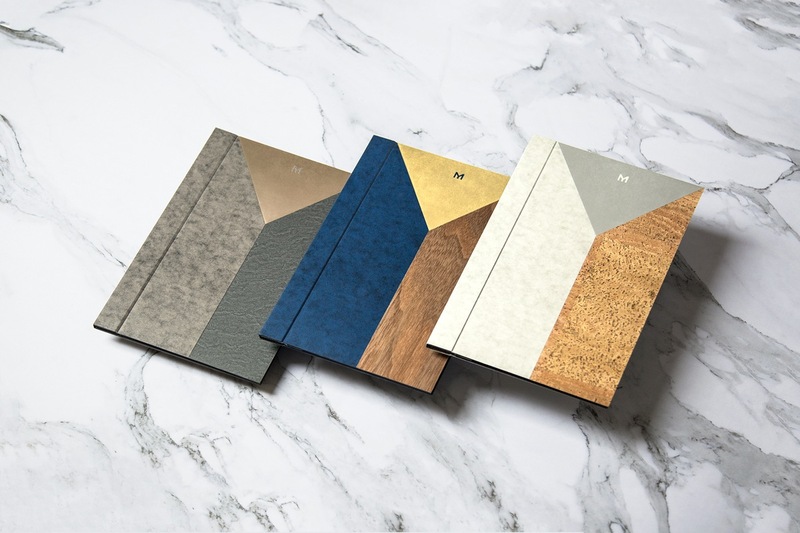 “Monica is a details person and our working relationship has been a close one to ensure that her exacting standards are met,” says Bibliothèque’s Tim Beard. 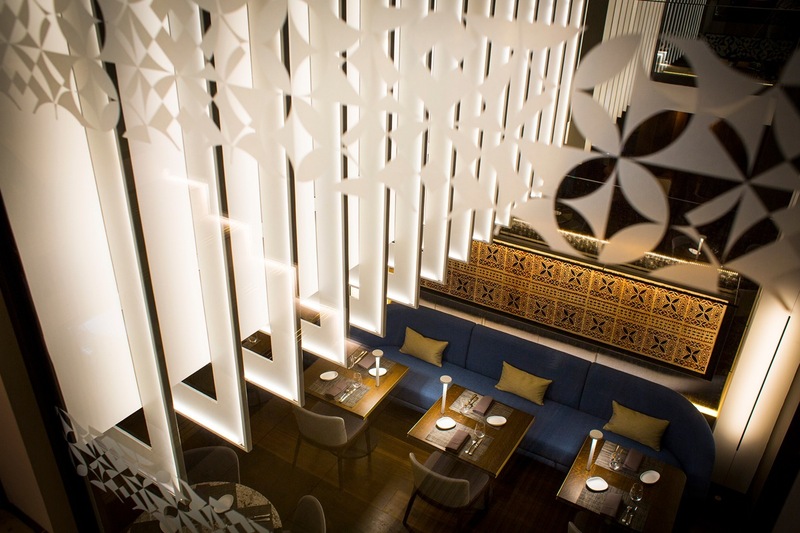 “The project is an extension of our experience in F&B after several successful and ongoing projects with Alan Yau and Nuno Mendes. 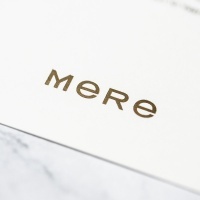 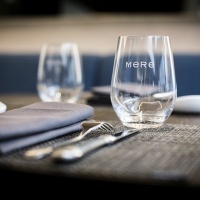 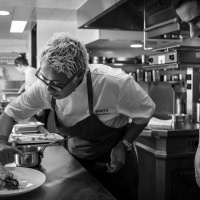 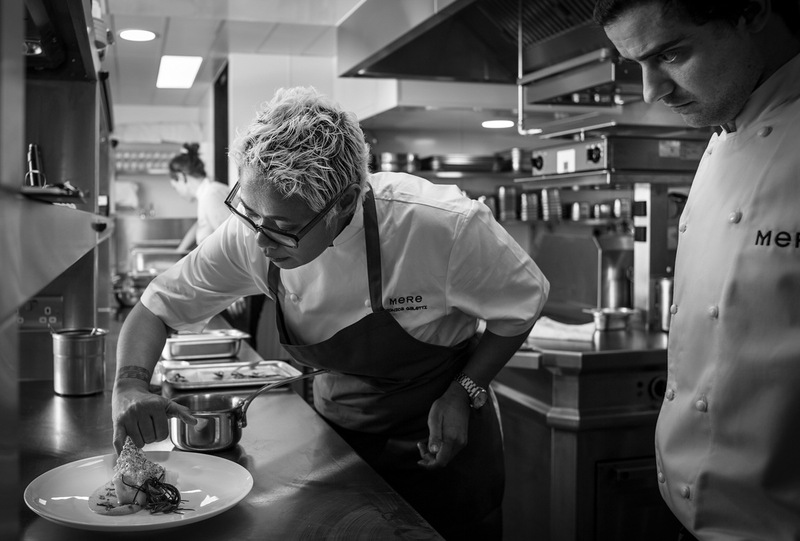 Restaurants are always fun to work on, especially when working with chefs of Michelin calibre – Mere has been a great project for us”. 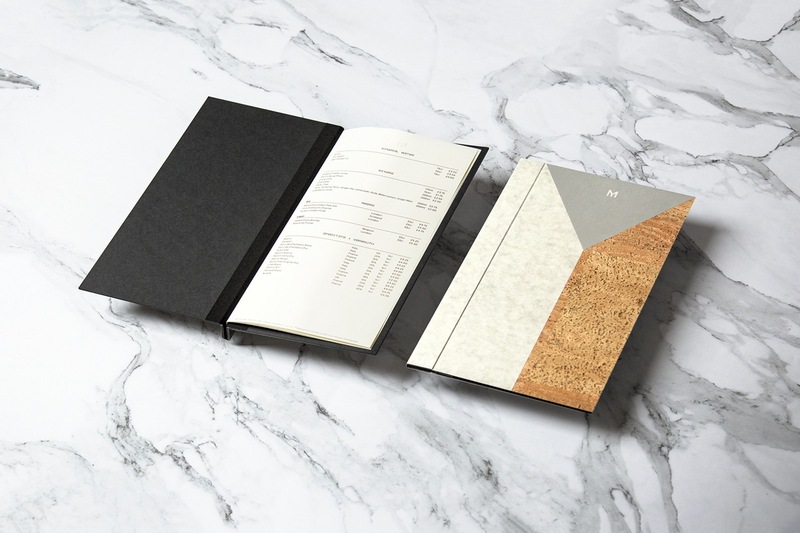 Bibliothèque worked with Imprimerie du Marais in Paris on the design of three ‘Food’, ‘Bar’ and ‘Wine’ menus and receipt folders. 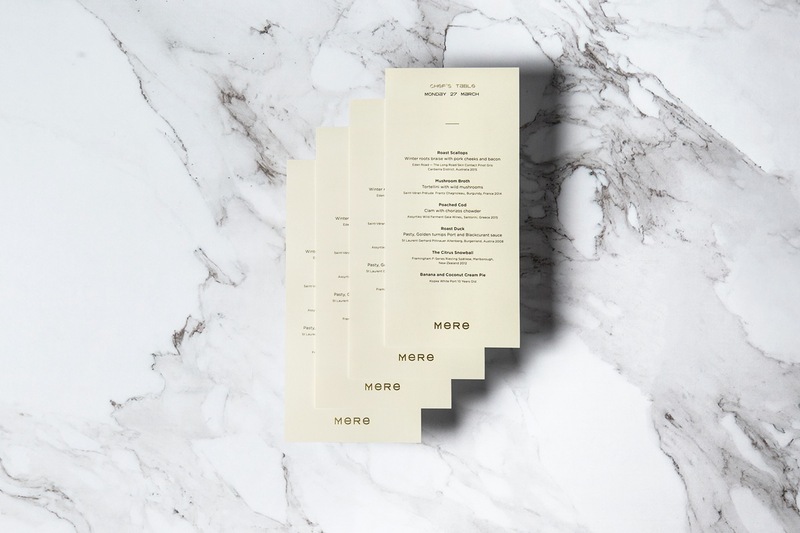 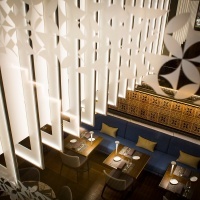 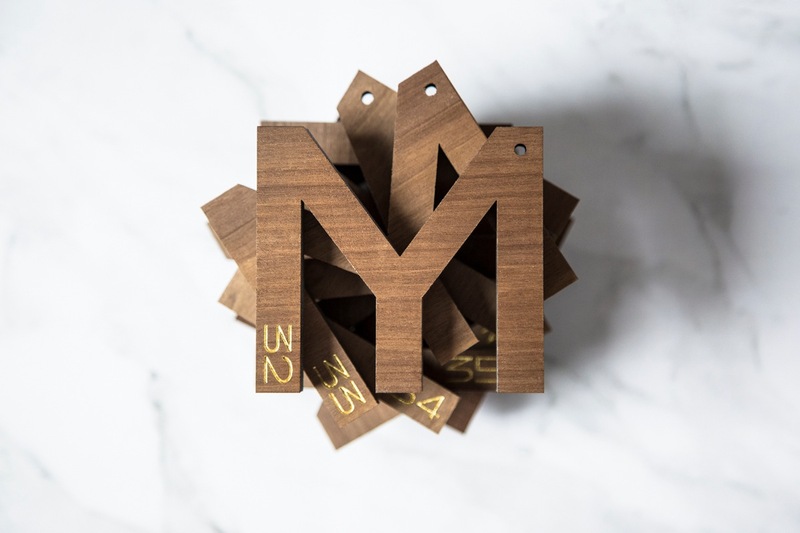 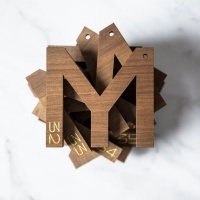 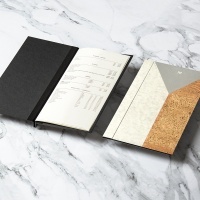 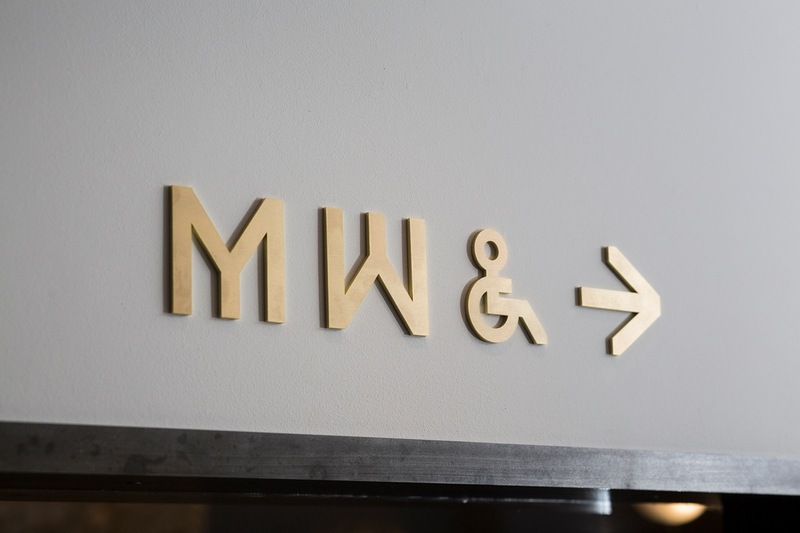 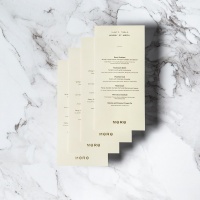 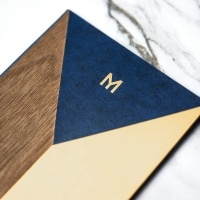 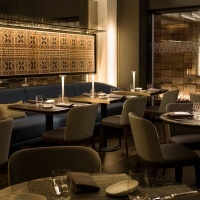 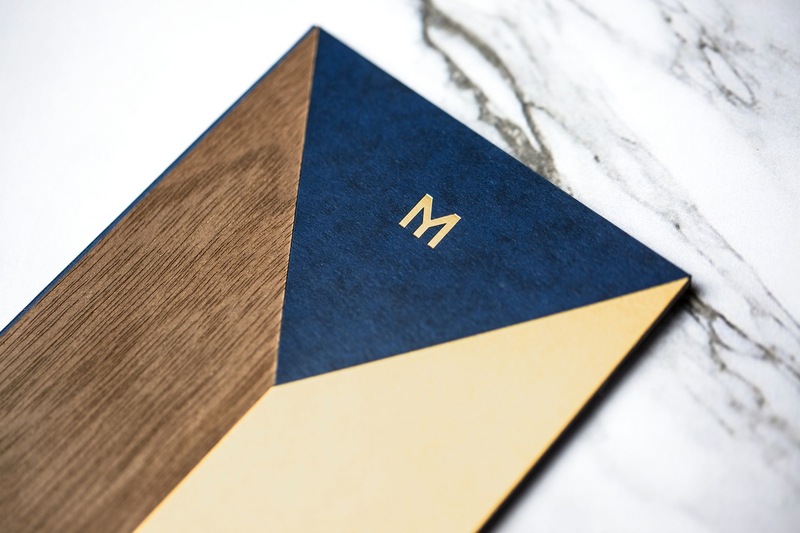 Each menu uses a combination of three inlaid materials, inspired by the restaurant’s interior design by Monica and architecture/design practice Softroom. 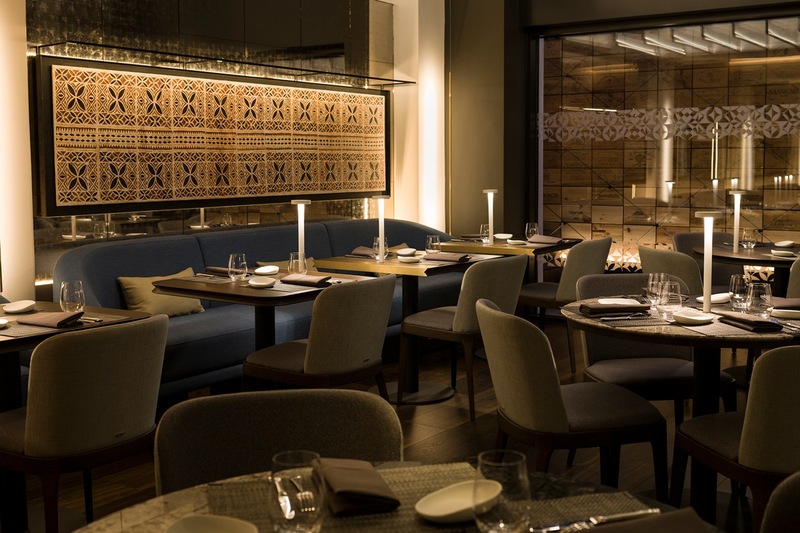 According to Bibliothèque, a traditional ‘Siapo’ – a ‘tapa’ barkcloth – has also been designed and made in Samoa and is positioned above a banquette in the main dining room. 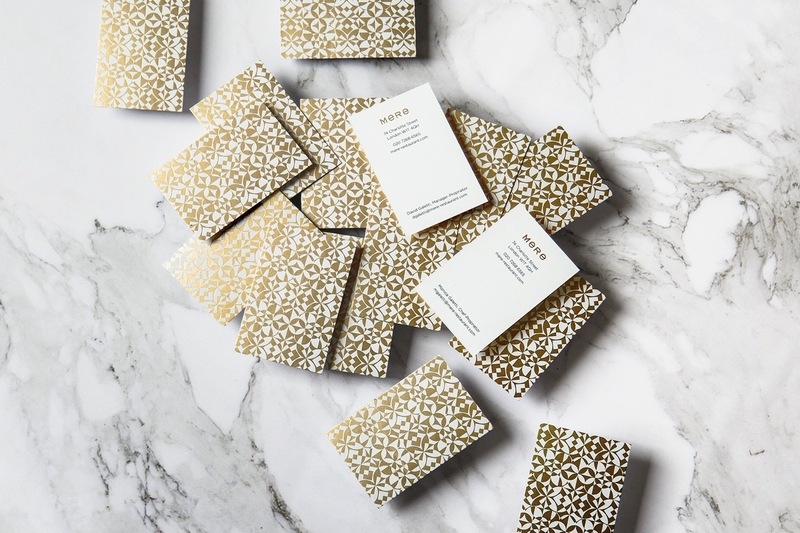 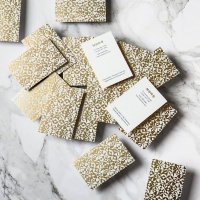 “This has been used as inspiration for an abstract graphic texture, used across the Business Cards and other environmental graphics,” say the studio.